Our brides and anyone coming to us looking for an answer to appearing flawless on film deserves the best. That's why we have makeup artists trained in airbrush makeup application with Kett Cosmetics. The natural and immaculate finish it provides is unmatched and the only place to get it in the Columbus area is here at 5o1! "For more than a decade, Kett Cosmetics has supplied the professional makeup industry with products that challenge the unforgiving lens of the high-definition camera. By developing their products in a lab and using a hi-def camera as a microscope, Kett created a line of highly effective foundations, liquid pigments, cremes and setting powders that provide long-lasting, flawless coverage with the flexibility to create endless looks. 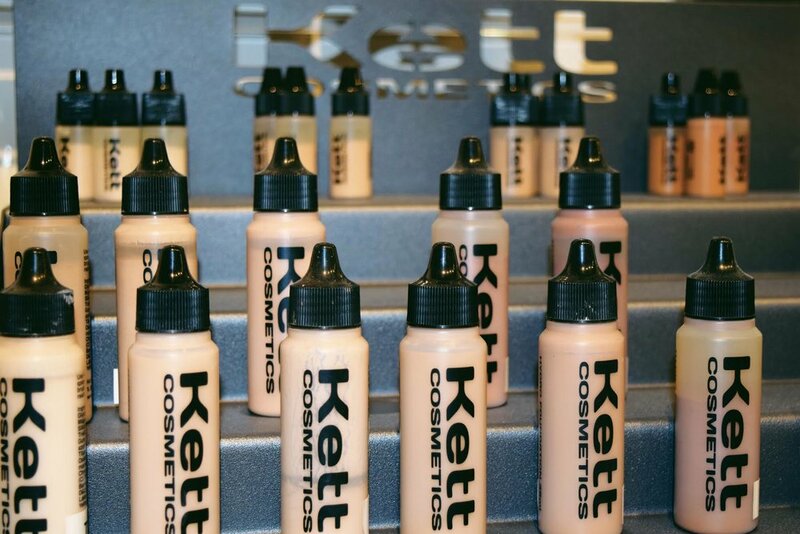 Today, Kett Cosmetics is globally recognized and considered an essential brand for professional artists, makeup academies, film studios and television networks" -Kett Cosmetics Official Website.